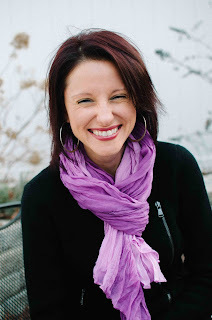 Welcome, Barbara Ross and Liz Mugavero, to the Kingdom Books review blog today! It's December 27, release day for the latest New England mysteries for each of you. Congratulations! 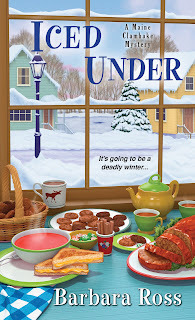 Yesterday (scroll down, readers ...) we were excited to share reviews of your new titles, ICED UNDER (Barbara Ross) and CUSTOM BAKED MURDER (Liz Mugavero). Now let's settle in for a some post-holiday hot chocolate or a cappuccino together, and do some author chatting. Your mysteries are releasing on the same date this year, December 27 -- just two days after the merriment of Christmas. You have the same publisher, Kensington, but you live in very different parts of New England. How on earth did you meet each other? Any memories from your early writer-to-writer friendship? Barb: We met at Seascape, a lovely and instructional writing retreat run on the Long Island Sound in Connecticut by Roberta Isleib (Lucy Burdette), Hallie Ephron, and S. W. Hubbard. After that we kept in touch via Sisters in Crime New England and the New England Crime Bake. Find your tribe, is my best advice for new writers. Liz: Before Seascape, I remember seeing Barb at many Crime Bakes over the years. She was one of The Published - a real author! And it’s so true - finding your tribe is the most important thing for a writer to do. 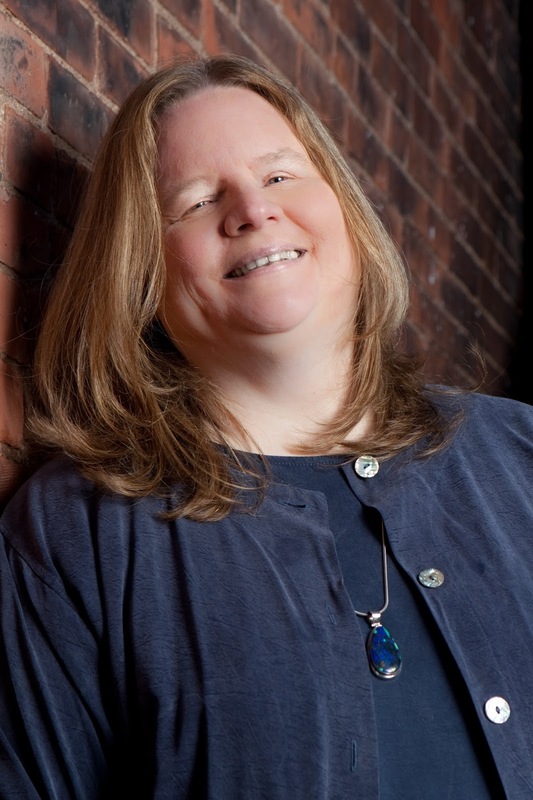 What are the special challenges of writing a mystery series? How do you cope with them? Liz: There are so many! Understanding how my main character needs to grow in a way that makes sense based on where she’s been and what she’s experienced is something that’s top of mind for me. Also, making sure my plot has no holes, that the mystery makes sense and the clues are strategically placed - that keeps me up at night. What made you choose to write in the "cozy" subgenre of mysteries? Or do you prefer to talk about your book as an "amateur sleuth" mystery, or a "traditional"? Liz: I’ve embraced it also. As long as I feel like I’ve done a good job with the story, the mystery is solid and the book has a deeper message despite the lighter feel to it, I’m happy. Your mysteries all take place in and around one small town. Do you think of this place as fictional, or do you rehearse in your mind the layout of the actual New England town you already had in the back of your mind when you started your series? Liz: My town is fictional, but it’s a hybrid of a couple of towns. I picked and chose the parts of each that worked for me, then added what else I needed to make it a town I would want to spend time it. But I keep the general location real - it’s eastern Connecticut. Barb: Sort of half and half. Busman’s Harbor is a highly, highly fictionalized version of Boothbay Harbor, Maine, where my husband and I own a home. I’ve moved a lot of things around, but whenever my sleuth, Julia Snowden, leaves Busman’s Harbor, I Google map the distance from the real Boothbay Harbor. People across the world, I discover, have a Normal Rockwellian, Currier & Ives archetype of New England in their heads. Those of us who live here know it’s a real place with real crime and real problems, but the classic New England-based cozy both plays into and against that archetype. Readers of this kind of mystery series need to bond with the sleuth and celebrate the person's changes -- and the solving of the crime somehow affects those changes. Do you have a long-term arc of character development in mind for your series? Or do you feel you are "reading along" with the rest of us, discovering your protagonist's growth as you write? Liz: I usually try to think about the character arc in a 3-book span, since that’s usually the length of the contracts. I know what’s happening in the immediate book, then based on that I think about where it would make sense to take Stan’s growth next. Barb: I had a definite, planned arc for the first three books in the series. The fourth through sixth have been more book to book, and I haven’t enjoyed that as much. So if I’m lucky enough to get three more, I’ll go back to an overall arc for the three. Don't spoil the suspense for us -- but tell us one "device" of plot or location or clue in your new book that especially tickles you as the author ... so we can watch for it and enjoy it from your perspective as well as our own! Barb: Fantastic question! In Iced Under, the detective investigating the murder keeps asking one question over and over. It turns out to be the right question in the end. Liz: Oh, this is a tough one! I would say it’s important to really pay attention to the people around you and not take everything they say or do at face value. If someone is suffering they sometimes try to hide it, but if you look closely you might be able to pick up on a cry for help. What's the most important thing we readers should pick up on from your latest book -- whether it's handling a challenging romance, or dealing with a dead body? Barb: Iced Under is a book about family—how it’s complicated and operatically difficult, but ultimately worth the effort. Liz: There’s a few things going on in Custom Baked Murder. Family is definitely a key component, and how to deal with them. If you don’t typically have a great relationship, murder can make it worse! Also, dealing with serious issues that sometimes people don’t think will surface in a small, cozy town where everyone knows everyone—or thinks they do. We know you must be partway through the next book in your series. Any hints or draft title that you'd like to share with us? Liz: Purring Around the Christmas Tree, the sixth Pawsitively Organic Mystery, will be out in late 2017. Thanks, Barb and Liz! This has been great fun -- and getting to know you and your writing process makes it even more enjoyable to read your newest books. The magic of a New England winter comes with big challenges too, from fuel oil or logs to icy roads to snowstorms that seem like they'll last forever. And that's part of why New Englanders treasure good neighbors: We need each other in such varied ways, including being able to share fresh-made doughnuts and clam bakes and "boiled dinners" (much more delicious than the term suggests). Into this world of personal connections and family complications step the protagonists of two of New England's engaging mystery authors, Barbara Ross and Liz Mugavero. Each is releasing a new mystery in her ongoing series, via Kensington, on December 27. And they couldn't be more different! 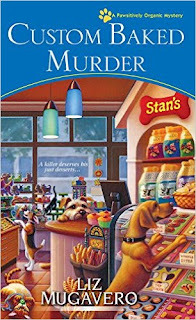 CUSTOM BAKED MURDER from Liz Mugavero opens at the end of summer in Frog Ledge, Connecticut. I know it's hard to remember back that far just now (or maybe we don't want to! ), but that would be the time of year when temperatures cool gently as election fever is heating up. Kristan "Stan" Connor, who's been running her organic pet treats business successfully from her home, faces a new segment of her career: opening a pet patisserie and café. Her boyfriend's moved in with her and is incredibly supportive, but in order to finance the new side of her work, she's accepted financial partnership from her mom -- who seems to want to decide everything, while also dragging Stan into a public engagement party for mom and the town's ambitious mayor, Tony Falco. To Stan's bewilderment (and, let's face it, anger), the party guests include public relations professionals from Stan's own former career -- recruited to help the mayor advance his own career. One in particular, Eleanor Chang, is what we call around here "a nasty piece of work." Mugavero's deft setup means it's no surprise when sharp-tongued Eleanor gets murdered. But it's a major problem for Stan, because it happens at her mom's party; the mayor is a suspect; and there are drug-related overtones that involve her boyfriend's extended family as well. Neither of them spoke until they were safely in Izzy's car. As she shot down the street Stan held onto the armrest and closed her eyes. Once they reached the main road, Izzy let up on the gas and blew out a breath. "D**n," she said, trying for humor but unable to mask her shaking voice. "Stan, what is it with you and dead people?" Unfamiliar with Mugavero's "Pawsitively Organic" mystery series? No sweat -- I like this one best of them all so far, it's easy to jump into, and chances are you'll look for the other titles afterward. "Mom, there's never anything interesting in the mail. It's all junk and catalogs." The trip to the post office would add a triangular, half-mile-long detour to my mother's house. I didn't relish trudging all that way in this weather. What could I say? She was offering a hot lunch and companionship on a cold winter's day. And she was, after all, my mother. The incoming mail turns out more interesting than expected, though, with a massive black diamond necklace sent anonymously to Julia's mother -- and the evidence Julia quickly assembles indicates it once belonged in the family, and vanished, along with most of the connections to relatives on that side of the family. A steady series of questions about the value of the necklace, the unexplained long-ago death of a cousin while at the family's island home, even her mother's love life, all of these press Julia into driving to Boston and braving a tangle of old treacheries for both her mother's sake and the possible inheritance that could be the needed piece to save the current family business. Ross's writing is smooth, polished, and tender, exposing the vulnerable heart of the Snowden family and how, as we say, "No good deed goes unpunished." Could one of the twists in the Snowdens' present implicate a hospice nurse in the early death of a patient? Who mailed the diamond necklace to Julia's mother? Whose secrets are the dangerous ones that put Julia at risk? I loved the pace of ICED UNDER, steady with just the right balance of tension and release, and the ending entirely satisfied me. If you haven't yet sampled this series, it's easy enough to step into the latest title, then catch up later. And for those already following Ross's Julia Snowden, this book is a must-read, delightful and rewarding. Finally, a special treat for readers: Tomorrow, on the release date of these two yummy mysteries (and yes, each one includes recipes! ), we'll feature here an interview with the two authors. Whether you're an ardent reader or a would-be (or published!) mystery author, or all of the above, don't miss that interview! See you here again, tomorrow morning. As Dave and I reflect on the past year's adventures among mysteries and their authors, we're especially pleased at the announcement that arrived on November 29 from Mystery Writers of America: naming Max Allan Collins and Ellen Hart as the 2017 Grand Masters. 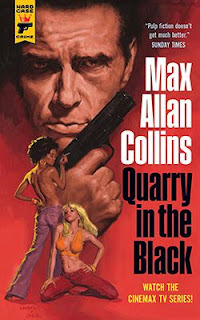 Today's my day to write a bit about Max Allan Collins and his books. With more than 100 titles, Collins has carved out more mystery, detective, and thriller terrain than any five ordinary authors put together. His most noted series may be the Quarry books, which feature a US marine sniper who returns from the Vietnam War and becomes a professional assassin. It began in 1976 with Quarry and continues, as Quarry in the Black was issued this year. But for noir fans, the top series is the one with Nathan Heller, where this Chicago "pulps style" private investigator tangles with noted personalities of the 1930s and 1940s. This series is also still running -- this year's title was Better Dead. The moment I knew that the writing by "M.A.C." had permanently marked my own life and thinking was the evening I finally watched the film version of his 1998 graphic novel Road to Perdition. Tapping into the American experience of the Great Depression, the story reminded me of what's unique about both our history and our choice of narrative in American crime fiction. I’ve been reflecting on the Grand Master this past week, the only troubling aspect of which is that it’s a reminder that a long career preceded it, and that the remainder of that career will be much shorter. Life achievement awards are something people try to give you while you’re not dead. So that part of it is sobering. Though it takes years to amass a writing career that brings the Grand Master title your way, Collins is only 68, and with luck and care, we'll have many more of his books ahead. In addition to the ones I've mentioned (see the lists at https://en.wikipedia.org/wiki/Max_Allan_Collins), he's written film novelizations, and co-wrote with others, including his wife Barbara; one of his acknowledged mentors, Mickey Spillane; and Matthew Clemens. Another aspect that I appreciate is his filmmaking side, which leads him to provide intriguing critiques of others' films as he sees them (an entertaining wrap-up of his 2016 viewing can be found here). And then there's his work on Eliot Ness of The Untouchables. Wow! Last but not least, Collins's writing and warm friendships bring him lifelong fans. For an enthusiastic and knowledgeable sample of what comes from those friendships, enjoy the write-up from Kevin Burton Smith. Yes, we'll provide material on Ellen Hart later; the Grand Master awards are presented in April, so there's time to keep reading and thinking about what these authors mean to the mysteries field. Just a reminder: We're still ready to give away a stack of Ed Gorman paperbacks -- Gorman, like Max Allan Collins, was an Iowa resident. Details here. PS: Looking for mystery reviews, from cozy to very dark? Browse the Kingdom Books mysteries review blog here. When I was a child, one of my grandmothers regularly sent me milk chocolate squares from Switzerland, and I understood that it was the finest chocolate in the world. Now we live in an era of chocolate gourmands, and most of the best chocolate seems to be dark -- with various additions that still surprise me. Mysteries, of course, range widely in "color" (whether that's an emotional term, or a plot description). 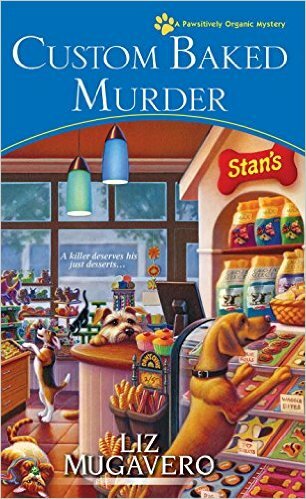 Many of the cozy mysteries that I've reviewed recently are sweet, to the point of describing a lot of desserts, as well as affection between characters, human or not. Then I appreciate in fresh ways the contrast and bite of the darker mysteries, of which today's Scandinavian police procedurals are among the very darkest. Today's dark Irish and Scottish ("tartan noir") crime novels often come in as close seconds. Hollywood explored the possibilities of these dark, moody, stormy mysteries very effectively, even decades ago. From the gritty urban mysteries of Raymond Chandler, to the eerie perspectives of Alfred Hitchcock, to the special effects of smoke, fog, and gruesome visual death effects, film noir -- via the mystery and crime dramas that took root in the 1940s and 1950s -- continues to capture the desolation and danger that translate brilliantly across many kinds of boundaries. Exploring the website and writings of Eddie Muller, "noirchaeologist," adds valuable background and insight to this darker side of mysteries, and to how authors and filmmakers portray life and death. There are moments when despair and loss serve to highlight how to value the light and hope that other places and plots include -- even if that light is simply the glow of the windows in a diner, seen down a hard road. The poster shown here is from one of the Noir City festivals that Muller curates and nurtures. Kingdom Books is thrilled (really!) to present this -- as Muller himself signed it. It's available for purchase, and could be exactly the right gift for someone who treasures this side of the mystery world. Drop us an e-mail at KingdomBks at gmail dot com and we'll provide details on price and shipping (and conversation, of course!). Depending on how you measure yourself against what sort of stick, chances are you're either juggling holiday lists at this point, hoping you can do it all -- or you're just starting to write a few, or pretending you don't need a list. "We've got love; we don't need no stinking holiday lists," as the old dark crime film quote could be twisted. Whichever category you're in, you can take it like a tightrope walker and just look straight to the other side, colored lights and candles and all ... or you can look down from that tightrope ("face reality") and assert that there's not a chance that you'll make it through the holidays without disappointing someone. Most likely, yourself. And the people you love, which is even worse. Ouch. And that is why, in 12-step groups, the main teaching about any holiday, even the Big Ones, is: It's just another 24 hours. You make it through, the same way, trying to take the next right step. Cut (as they say in Hollywood) to the latest Junior Bender crime novel from Timothy Hallinan. 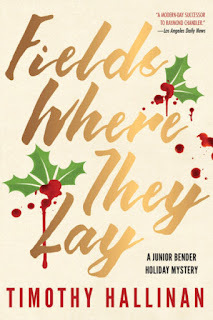 FIELDS WHERE THEY LAY is number six in this series and in spite of the protagonist's name, this is emphatically not a mystery for kids. "Junior" is Junior Bender's real first name, and he's an adult with a broken marriage, a disillusioned ex-wife and daughter, and a lover who refuses to even tell him where she's come from, although in the last book (King Maybe) Junior bared one of his own deepest secrets to her. The setting is Hollywood (the city, not the film sets), now, and the time, very importantly, is the run-up to Christmas. Junior is a professional thief, with some very questionable connections from recent efforts. When he asks long-time buddy Louie the Lost to come drive him to an important meeting, they connect at a car repair shop ,with Junior bringing the coffee and pie. Junior's complaint about the greased-up place doesn't get him far. "So," I said, "I've got to talk to a guy named Tip Poindexter." Louie was sliding his feet experimentally across the grease on the floor. "Tell you what," he said without looking up. "Here's my best suggestion. Go get your passport. Go get all your passports. Then go to Pakistan with a lot of plane changes and double-backs and new names along the way. And stay there." That gives you some idea how bad it could be to work for Tip Poindexter. Unfortunately, Junior doesn't have much choice. Poindexter is actually a violent and sadistic Russian mob type (call him Vlad, say) who knows where Junior's family lives. And for Junior, having his ex-wife and daughter tortured and killed (or even worse, kept alive) by a Russian mob-type sadist would be considerably worse than not getting them the right Christmas gift, wouldn't it? Yes, Christmas is indeed part of the problem. What Junior needs to solve -- very very quickly -- is why the theft statistics have escalated sharply at a festively bedecked shopping mall outside Hollywood that the mobster and his "friends" own. Maybe it's a good thing he's got this challenging problem, because his girlfriend shows signs of being about to vanish (forever? or until the holidays are past, at least) and he still hasn't bought gifts for anyone. He has some very good reasons to hate Christmas. Reasons that are big enough where even a 12-step group isn't going to provide an attitude adjustment. So why would you want to read this book? You already probably know (crime fiction being what it is) that someone's going to get killed. You know Junior's going to screw some things up, and his chances of making Christmas work out get more slim with every fresh crisis. And yet ... there's a refugee making a new life with a leather shop. A Jewish man named Shlomo wrapped in red velvet and fur as the second Santa in the mall, and dispensing old-fashioned (time-tested) wisdom. There are Junior's allies: not just Louie the Lost, but also two amazing tech wizards in teenage girl form named Anime and Lilli, who've helped before, and some decent folks among the ripped-off merchants at the mall. And there's the desperation that the approach to the biggest holiday season of the year can bring: Somehow, Junior knows he's got just one chance to make things right. Don't you want to see whether he can do it? With a little help from his friends, of course. Or, again with the crime fiction part of your reading brain, don't you want to see which part is so far out of his control that Junior loses someone or some love forever?? Hold it right there. With friends like Junior's, and with his recent discovery that he can love and be loved, there's a lot of reason for hope, after all. Keep reading. Shlomo gave her all his attention. "Have you been good?" "Oh," she said. She fidgeted. "Um, not very." "She's been fine," I said. "Better than fine." "I can see that in her eyes," Shlomo said. "What are you going to give for Christmas?" Anime's eyes widened. "Give? Oh, right, thank you for asking." 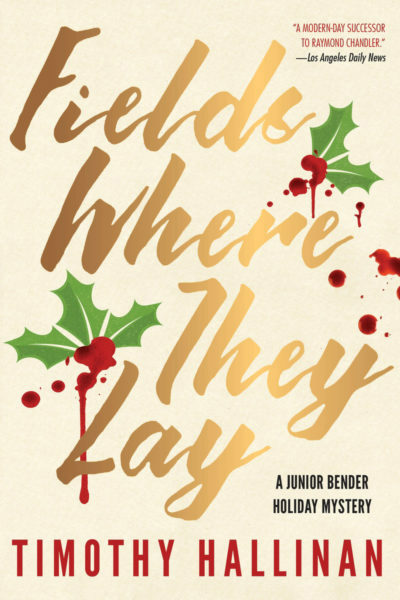 Even if you hate the holidays with reasons just as good as Junior's -- or especially if you do -- this book is still the best gift you can give to yourself. And if you've already found hope and joy and a sense that you're not obligated to complete all those lists and that the people you love really do love you back ... well, maybe you'll recognize something in here, too. Best of all: The finale. It provides the best promise that the author of a highly entertaining and intriguing series of mysteries can offer. And I bet you know exactly what that means. Read on! And ... happy holidays. It may only be 24 hours on the Big Day ahead, but that gives 24 chances to fill each one with something worth appreciating. It's the holiday spirit, after all. What am I going to give for Christmas (Hannukah)? Hmm. I might need some more copies of this book. PS: Tim's website isn't up-to-date. I think it's forgivable, considering he's busy writing good books. Check out the Soho Crime site instead. And ... Looking for more mystery reviews, from cozy to very dark? Browse the Kingdom Books mysteries review blog here. When the pace of pre-holiday prep gets too intense, it's good to have an amateur sleuth mystery on the bedside table -- and here are two for relaxed reading. 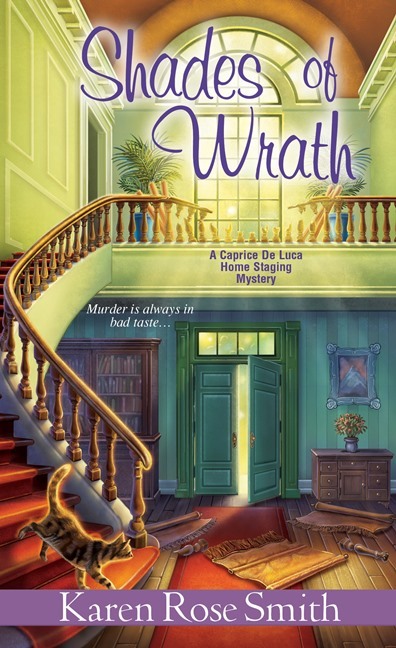 SHADES OF WRATH from Karen Rose Smith (Kensington Books) is number six in the (planned) eight-title "Caprice De Luca Home Staging Mystery" series. Home staging is something I've only really seen on TV, but I get the idea --setting up a "scene" in a house that's for sale, so the person shopping for a new home will want to move right in. Caprice De Luca extends her business beyond that aspect, though, to include what I would have called interior decorating. In SHADES OF WRATH, she's on tap for the women's shelter in her town of Kismet. The shelter organization just inherited a run-down mansion and they want Caprice to turn it into something homey for the residents who'll land there, confused, scared, even maybe bruised and battered by life physically. Caprice will also make over the main office of "Sunshine Tomorrow" for the directory, Wendy. But all too soon, Wendy's found dead in the mansion. Of course there must be many people who resented Wendy's interference in their marriages. But who would go to such a violent extreme? "She said you had given her my number. Why did you do that?" Brett Carstead didn't dole out information unless it could help his investigation. "I didn't do it easily," she admitted. "But Wendy did serious work. When she called me yesterday for your number, she said she was going to talk to you about a matter that had to do with blackmail." 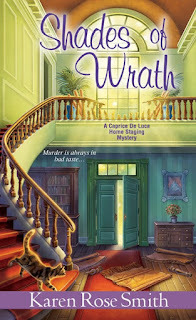 This tightly plotted and smoothly written mystery -- Karen Rose Smith has written nearly 100 books! -- is a great distraction from unending gift lists, calendar conflicts, and family friction. You know all the pre-holiday stuff will work out by the Big Day, but still, it's a relief to step into this book and let the author move you (and Caprice) safely toward a happy ending that's not quite predictable. 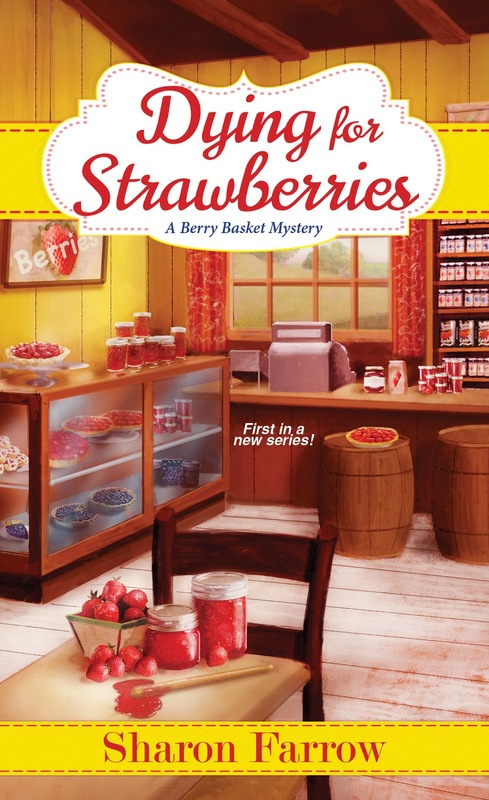 DYING FOR STRAWBERRIES is the start of the new "Berry Basket Mystery" series from Sharon Farrow -- but far from the first book for this author, whose usual name is Sharon Pisacreta, of Michigan. For berry shop owner Marlee Jacob, age 29, business is blossoming -- there are strawberry muffins and other goodies to whip up and serve or distribute, a local festival for June called the Strawberry Moon Bash, and a sweet fiancé to spend spare time with (is there any spare time?). But when the downtown festival turns out to be a cog in a real-estate scheme that could shut down all the charming independent businesses in town, including Marlee's, the town of Oriole Point erupts in conflict. And some of it must be related to what Marlee finds: First someone tries to drown her in the lake, and then she practically trips over a murder. Plus her own past is suddenly putting her new career at even more risk. There are moments like this for Marlee: "I shook my head when he offered me another slice of pizza. This conversation had killed my appetite, and I hadn't even brought up the crystal meth yet." Highlights of this fast-paced and chunky mystery (almost 350 pages, longer than the usual amateur sleuth book) include Marlee's solid friendships that come through for her, and the yummy recipes at the back. (I plan to try the Strawberry Nut Bread soon.) A lively distraction from real life, for at least a few hours! Of course, there are also "seasonal" mysteries, to cope with holiday stress in a far different way. Look for the review of Timothy Hallinan's new Fields Where They Lay for that kind of indulgence. More book news to come soon!